E-paper is proving capable of disrupting the digital signage market, but it takes an in-depth understanding of the technology to fully deliver on its promise. Find out about the challenges of deploying electronic paper in different digital signage scenarios and how to transcend them for optimal results. In this paper we look at electronic paper and the challenges when deploying the technology in digital signage scenarios. As the e-paper ecosystem matures, installing a functional signage product in the field becomes easier, but still remains heavily dependent on certain crucial considerations that every signage integrator should be aware of in order to take full advantage of the technology’s many features. Following is a breakdown of how to reap the benefits of electronic paper by paying attention to certain axioms of creating an electronic paper signage solution. The current landscape of digital signage is anything but innovative with signage solutions still relying heavily on LCD and LED technologies, and not enough importance placed on the actual usability of these solutions in real-life deployment scenarios. Electronic paper is emerging as the technology with the potential to transcend the glare and powering hurdles of traditional digital signage. Issues such as glare, heavy cabling and the need for constant access to the power grid heavily limit meaningful deployment of innovative signage with progress manifested mainly through tighter enclosures with more backlight, larger sizes and larger resolutions. But nothing truly new and innovative has brought forth a new generation of digital signage which would support installments before considered too difficult. Emerging as the technology with the potential to transcend these hurdles is electronic paper. 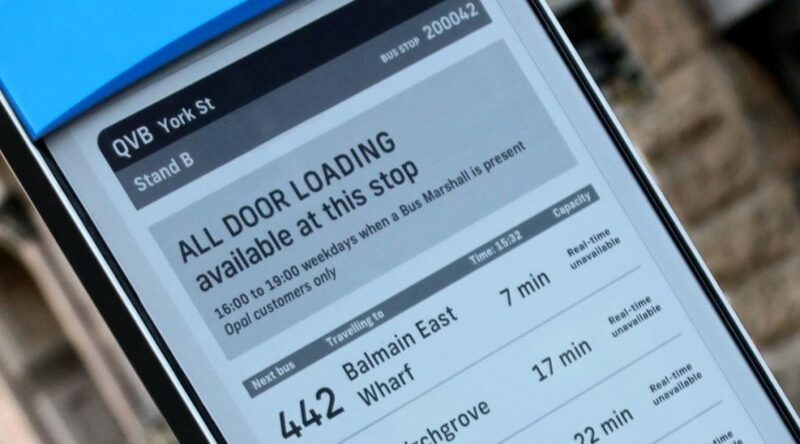 First making its mark in the e-book sector, the tech is turning the page when it comes to digital signage, creating a disruption in the market, as evidenced by several successful signage projects realized on e-paper: Sydney traffic signs and London bus stops being among the most recognizable. An electronic paper screen will use 99% less energy than digital signs normally do: this can be as low as 1-2W for a 32” panel with a front light, and nearly 0W for a static and unlit display. This power efficiency enables completely new use cases and supports larger deployments, with sunlight visibility making the technology even more interesting for integrators. But while electronic paper is full of potential, it takes an in-depth understanding of the technology to truly deliver on its promise. 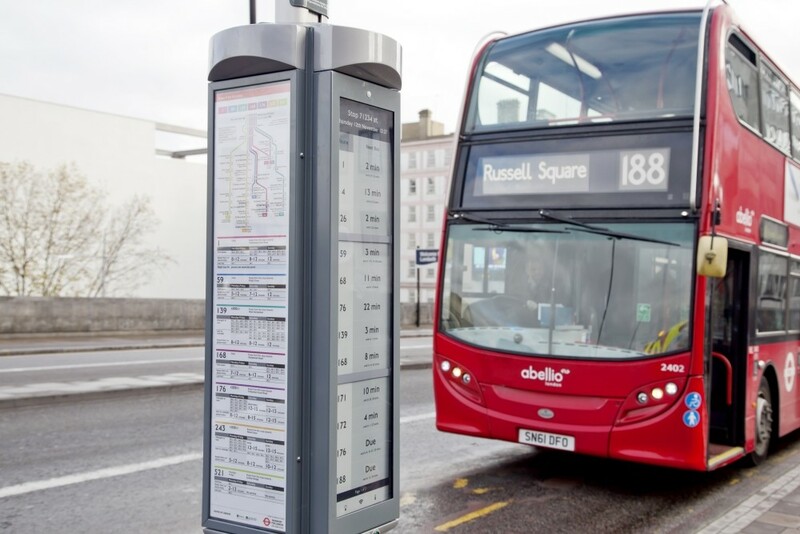 An electronic paper bus stop deployed in London. Solar-powered, it provides passengers with up-to-date fare information, with remote updates being used to change the information displayed. Electronic paper goes by many names: e-paper, sometimes spelled as ePaper, electronic ink and (generically, after the leading company manufacturing it) also e-ink. Oftentimes electronic paper will also be referred to as an EPD, an acronym for an electrophoretic display, meaning that it functions on the basis of dispersed particles relative to a fluid under the influence of an electric field. Electronic paper is a technology that mimics the appearance of ordinary ink on paper, functioning on the basis of dispersed particles relative to a fluid under the influence of an electric field. reflective, meaning that it will feature the same readability as traditional paper. At the core of e-paper technology are micro capsules filled with a fluid containing small particles, each about the diameter of a human hair. An electronic paper display is made up of millions of such capsules in a thin film. The particles inside the capsules come in different colors and with different electric charges; in the most basic incarnation of an e-paper screen, these particles will be either black or white. 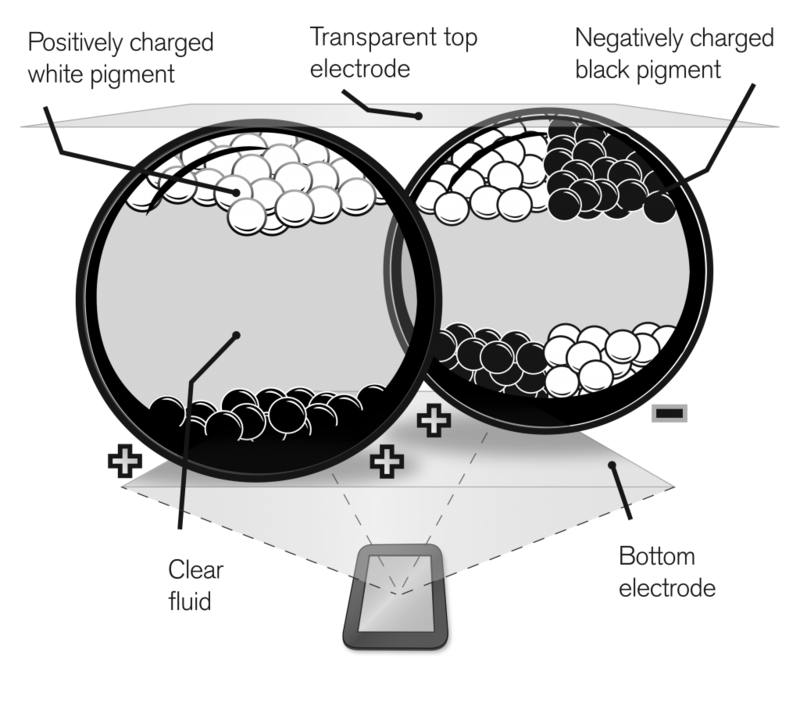 Electrodes are placed above and below the capsule film: when a positive or negative electric field is applied to an individual electrode, the color particles with the corresponding charge move either to the top or the bottom of a capsule, coloring the display in that spot and outlining an image or text. This makes e-paper technology bistable: the default state of an e-paper capsule is a resting state, meaning that energy is necessary to realize it but not to retain it. Currently e-paper displays from E Ink®, the leading epaper manufacturer, offer either two colors (1-bit) or a grayscale palette (4-bit, 16 levels). Electronic paper consumes power only when the content on screen changes, making the technology extremely energy efficient. In practice this means that power is required to put the color particles of an e-paper display in their place, however, they won’t move from their spot until the next electric charge rearranges them into another pattern. Cut the power to the display and the eink screen will still show the last content displayed. This means that electronic paper will consume power only when the content on the screen changes, making the technology extremely energy efficient, capable of running for months or even years on a single battery charge. As an added bonus, the way in which the technology works also makes e-paper displays reflective, which means that the light from the environment is reflected from the surface of the display towards the user’s eyes, just as with traditional paper, with the display emitting no light itself. In addition to avoiding light pollution, this feature makes epaper displays easier to look at, providing a wider viewing angle than with most other screens and making e-paper perfectly visible even in direct sunlight. Underestimating the deployment in the field is a trap to be avoided with any signage project, and definitely one that should be avoided when deploying e-paper. Electronic paper seems to be the breakthrough innovation that the digital signage industry has been waiting for; however, in the past the majority of electronic paper projects had proved unsuccessful, with some estimating the failure rate to be as high as 95%. Unsuccessful deployments are nothing new in the digital signage sector (just a few years ago less than half of digital signage networks proved successful), a fact attributed to, among other things, project complexity. Underestimating the deployment in the field is a trap to be avoided when implementing LCD or LED signage project, and definitely one that should be avoided when deploying e-paper, avoiding unrealistic expectations of the technology. Electronic paper in its purest form is a sheet of material of arbitrary length. This, however, does not mean that custom display sizes are possible: even though the display medium works differently than an LCD or LED screen, an electrical backplane is still necessary to control the pixels of an epaper screen. Electronic paper in its purest form is a sheet of material of arbitrary length. This, however, does not mean that custom display sizes are possible. To this end, the electronic paper manufacturer will need to prepare a thin-film transistor (TFT) backplane for each EPD size in production; creating a non-standard size would bring with it a non-recurring engineering (NRE) cost to be borne by the customer. Sizes smaller than 6’’ are predominantly used for wearables, as they are normally not large enough for digital signage purposes. The 6’’ display has been designed for small information panels, aimed at a single user observing the display at close proximity. The 9.7” and 13.3” displays enable signs which are visible from further away, intended for larger groups of people. The 31.2’’ display is the maximum size for a panel in production. Other providers also license the e-paper technology from E Ink. Pervasive displays provide a host of different display sizes ranging between 1.44” and 10.4”, while Plastic Logic Germany provides an e-paper screen based on a plastic and flexible backplane in 10.7” and 15.4” versions, creating screens that are a good alternative for environments that require very robust displays. As the market evolves, new EPD sizes are sure to follow. Until then, should none of the eink sizes available conform to the requirements of a particular signage project, it is always possible to tile epaper panels together by combining two, three or more displays into a larger screen more suitable to a particular display project’s needs. 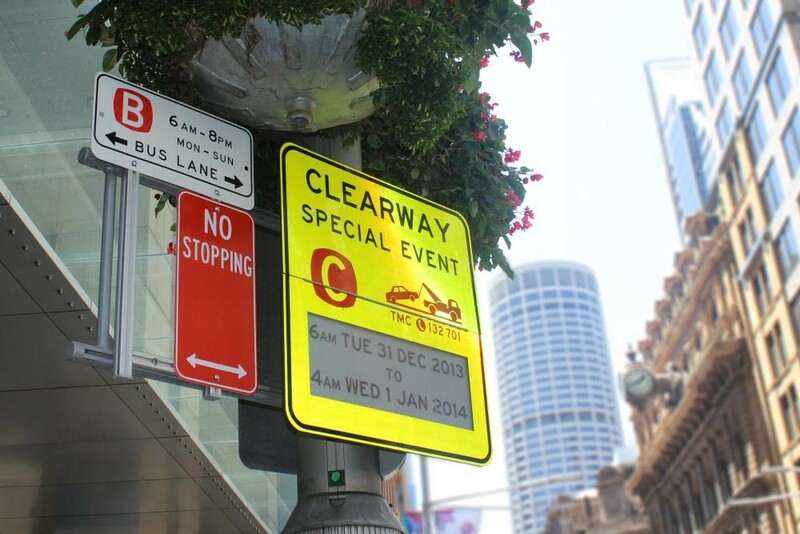 Electronic paper displays are tiled together to create the large display of the digital traffic signs deployed in Sydney, Australia. The widely used LCD screens are capable of displaying color, with most of the content today in color as well. E-paper is, on the other hand, limited in this respect – the most basic eink displays come in black and white, while a modern electronic paper display can display up to 16 shades of gray. The most basic of eink displays come in black and white, while a modern electronic paper display can display up to 16 shades of gray. 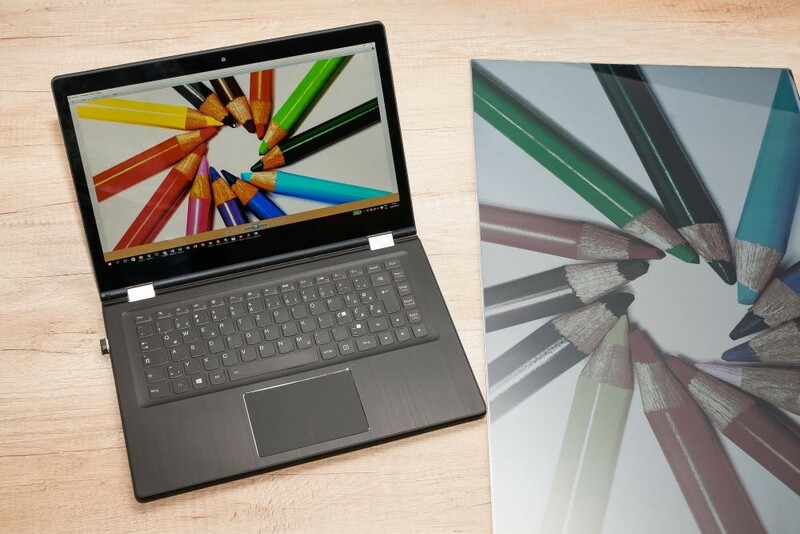 This means the RGB colorspace will need to be converted into the limited 4-bit grayscale to display an image on an electronic paper screen, which can be problematic in two aspects. Firstly, the content itself needs to be considered – if the colors are significant for the viewer to understand what is shown on the screen (e.g. with color coded subway lines), then the image content itself will need to be adapted to suit the grayscale display. The color-coded content can, for example, be substituted with widgets or other markers, such as dashed or dotted lines. Secondly, the process of converting the 16 million or more colors into 16 grayscale levels must be taken into account. Luckily e-paper displays come with a relatively high PPI (typically upwards of 150 PPI), which means that dithering methods can be used to improve the way an image might look. Dithering allows for rendering images with gradients that lack the sharp edges of one grayscale level turning into another. There are a couple of methods that can be used for this, with the most popular in e-paper being Floyd-Steinberg, Bayer and simple noise dither. While electronic paper technology is perfect for creating resilient monochrome and grayscale images, it can prove more complicated when trying to show things in color. Nevertheless color is making small but sure steps in the world of EPDs, beginning with color masks that are overlaid over existing display panels during the manufacturing process. Color is making small but sure steps in the world of e-paper, beginning with color masks that are overlaid over existing display panels during the manufacturing process. The approach is not without its drawbacks: a RGBW color mask will require 4 subpixels (red, green, blue and white) to color each pixel of the display, reducing the screen resolution by two on both axes. This will, nevertheless, still yield an effective resolution, as electronic paper panels normally come with a very high DPI. The 31.2’’ display, for example, supports a resolution of 1280 by 720 pixels when integrated with a color mask, and a resolution of 2560 by 1440 pixels when in 16-level grayscale (4-bit). More significantly, a color mask will affect the contrast and color correctness of an electronic paper display. While each EPD color pixel is capable of 4096 different colors, color matching has proven difficult, with color epaper displays working their best when their content has been optimized for the color gamut of the panel. Primary colors should be used for best results, with very saturated images and a very high contrast. When displaying color images on electronic paper, the source image file should be optimized for best results: saturated pictures with high contrast and primary colors are recommended. Electronic paper displays do not support video content and have proven time and again to be best suited to static and semi-dynamic information. The option of video is very unlikely to materialize in the near future, as it would end up using increased amounts of energy, thus negating the power-saving benefits of electronic paper. Even with the frame rate of an EPD high enough and the added limitation of supporting 1-bit updates only, the option of having video is very unlikely to materialize in the near future, largely because playing videos on an eink display would end up using increased amounts of energy, thus negating the power-saving benefits of electronic paper. An additional side effect of fast display updates is also the increased possibility of ghosting, the traces of the previous image remaining visible on screen when the image on it changes quickly. Also important to note is the fact that, unlike in smaller e-paper displays such as the 6’’ display of an eReader, no ready-made solutions exist when it comes to providing lighting to larger electronic paper panels. While lighting is not an issue indoors, with ambient light providing enough illumination to discern the content on the screen, this is not necessarily the case outdoors. Most electronic paper signage deployments usually opt for some type of a frontlight, similar to a scaled version of what is available in Amazon Kindle or the Kobo Reader. 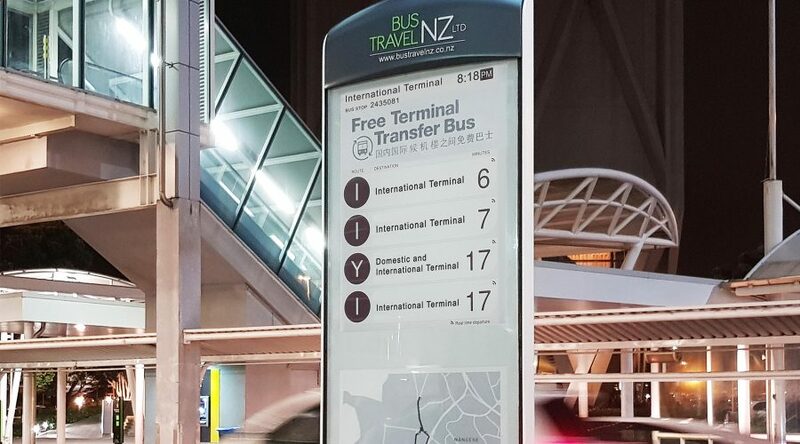 Outdoor epaper signage installations have been known to use street lighting to provide enough light for the screen; however, most deployments usually opt for some type of a frontlight, similar to a scaled version of what is available in Amazon Kindle or the Kobo Reader. Signage implementers will need to dive into the world of frontlights, finding a light guide that would disperse the light coming in from the sides of the display panel, usually laser-etched or particle based. As the size of an epaper display increases, so does it susceptibility to physical damage; a 31.2” eink panel, for example, is in essence only a 1mm (0.04in) thin sheet of glass. While some panels are available in flexible versions, it still stands that, when deploying an outdoor display, protection against vandalism and the elements should be taken into account, as well as the question of how to integrate frontlights and UV protection. When deploying an outdoor epaper display, protection against vandalism and the elements should be taken into account, as well as the question of integrating frontlights and UV protection. Firstly, an overlaying material, usually tempered glass or Polycarbonate, will be needed to protect the front of the display from mechanical damage, with integrated UV protection necessary to protect the EPD, as it will fail very quickly outdoors if unprotected. Simply stacking the overlaying material on top of the EPD display will not suffice, as the air gap between the layers decreases the contrast of the screen. EPD contrasts can be improved by 30% simply by removing the air gap through the process of optical bonding. Optical bonding is a procedure in which a type of transparent adhesive is used to bond the panels together, using a special procedure resulting in a laminated display without any air gaps. Some optical bonding processes, however, use adhesives which react to UV light, a problem since UV can damage the EPD display. By using optical bonding the air gaps between the display layers are eliminated, improving the contrast of the electronic display by 30%. In addition to optical bonding and frontlights, an outdoor electronic paper display’s electronic components will also require protection against the elements. The EPD enclosure will need to be vandal-proof and also weatherproof, preventing moisture buildup as a consequence of temperature fluctuations. E-paper signs have been known to fail due to moisture building up within the display. The enclosure of an electronic paper sign will need to be vandal-proof and also weatherproof, preventing moisture buildup as a consequence of temperature fluctuation. An additional issue of outdoor enclosures can also be the aptly-named greenhouse effect, a consequence of not using bonded panels, whereby the air trapped between the display panel and overlay will under sun exposure heat at a much faster rate than usual. This creates a small-scale greenhouse effect, where the air can heat to such levels as to significantly reduce the lifetime of the EPD or even damage it. Due to the complexity of building outdoor epaper enclosures, some vendors have specialized in providing ready-made EPD enclosure solutions, supported with know-how from deploying signage solutions in the field. 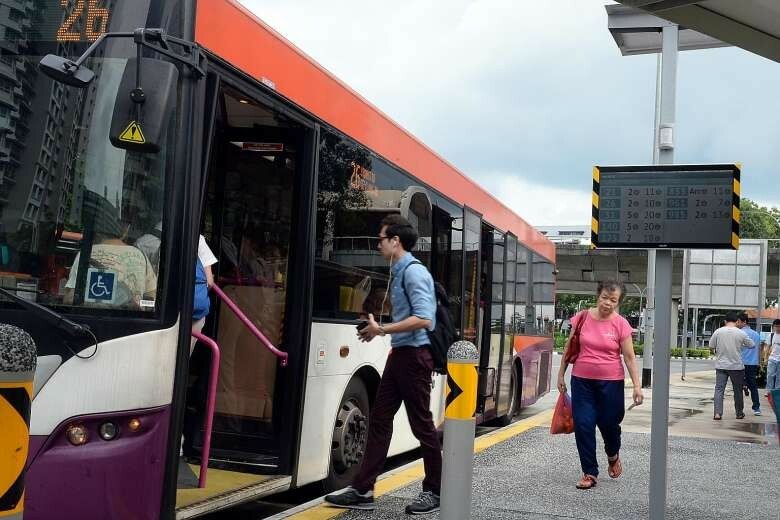 Among these are GDS, Technoframe, Lecip, CHK America and Mercury Innovation, having helped develop enclosures for epaper bus stops in London, Singapore and the United States, as well as traffic signs in Sydney. Even though electronic paper has been around for a while, it is, in terms of its real-environment use in digital signage, still a relatively new technology, making the learning curve a difficult one. When the first EPD signage pioneers started integrating electronic ink displays, they were confronted by the peculiarities of driving an e-paper display: the need for special display controllers (something that EPSON has mastered over the years), access to product documentation and very good technical support. In terms of its real-environment use in digital signage epaper is still a relatively new technology, making the learning curve a difficult one. Mastering key concepts such as waveforms (controlling how the display updates under specific conditions), ghosting and content optimization for best image quality is crucial, as is accounting for the specifics of driving EPDs, such as the display update times that change with ambient temperature altering the viscosity of the panel. This means that the way a screen will update at 20°C differs from the way it will update at 25°C, with the display controller using one or more temperature sensors to manage this change. Next comes the issue of instructing the display to draw an image, text, or complex graphics and menus on screen; while there is limited support with drivers under Linux – though very different from regular graphics card support – using Linux will negate the low power aspect of the e-paper and take some time to implement. To ensure really low power consumption, an embedded SoC (system on chip) is necessary, with the building of display drivers from scratch consequently falling to the signage integrator. Driving electronic paper requires custom hardware and firmware, and lack of experience in designing these for EPDs can result in signage development taking an extremely long time. This may significantly extend the time earmarked for development, extending it in some case by tenfold, inducing a very high engineering cost and presenting a very long time to market it, increasing the chances of project failure. Even supported with the right tools and documentation, a functional e-paper product will take some 1–2 years of development. Building the screen hardware, difficult as it is, is only the first step in creating an electronic paper sign. To control the content displayed on screen, a display management system is necessary – and this is not widely available when it comes to e-paper, so finding the right solution provider with a verified display management software is key. Alternatively, a signage integrator would need to roll out their own display management infrastructure, creating a server that can support tracking events, such as environmental factors, battery, signal strength and failures, as well as checking the state of the display to discern what is being shown on screen. The electronic paper sign should be seen by the viewer as a coherent whole: should the display management infrastructure fail, the signage deployment will fail, no matter the quality of the panel hardware. 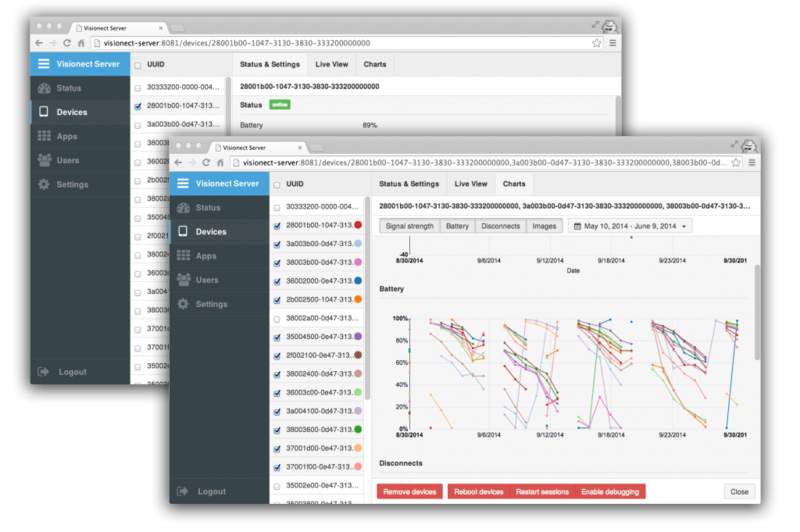 Good display management software should also offer APIs, supporting integration with the content management system (CMS) of choice or any other external application. This will provide the signage integrator with the flexibility needed to manage the new e-paper sign in a way that best suits the functionality and purpose of the sign. An electronic paper display management interface, allowing signage integrators to keep track of how the signs are behaving, keeping tabs on battery status, hardware version, wireless signal strength of deployed units, performance analytics and more. Supported is integration with a CMS of the signage integrator’s choice. 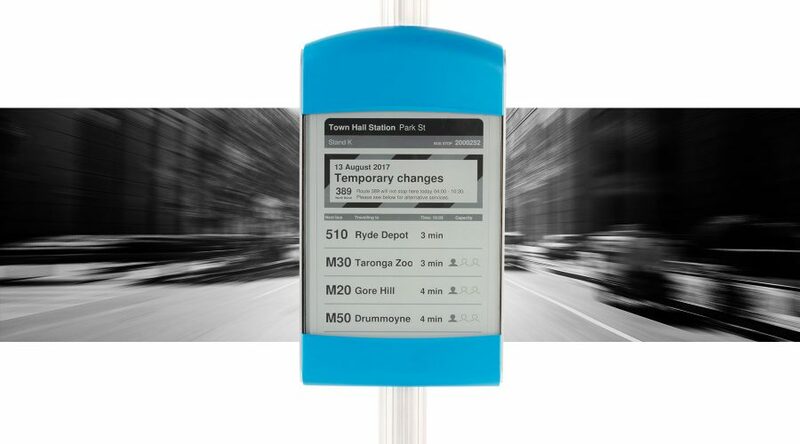 Electronic paper presents an exciting opportunity to install digital displays in locations not possible before, however, as demonstrated, successful eink deployments are anything but simple. The e-paper digital signage ecosystem has evolved in great leaps in the last couple of years, with electronic paper signage finding itself better supported on all levels. Combining all the components of a quality e-paper signage project is no meagre task, making it easy to understand why so many past electronic paper projects had failed – the industry as a whole had not been mature enough. Work with a company that has experience with e-paper enclosures. Building a display stack from scratch can eat up significant amounts of time and effort. Find a reliable supplier for hardware and firmware. Preferably this is a supplier with a lot of experience in deploying e-paper in the field. Try to work with experienced partners. E-paper digital signage know-how is an acquired skillset, and you should leverage that know-how when working on a project. Understand that management software is a requirement. This may not be evident from the start, but good management software is a must for your signage project to be successful. Prepare to invest time into customer coaching and support. The technology is new and your customers will require time to get to the level where they will be confident in deploying 1000 of your digital signage solutions. The main takeaway in deploying electronic paper digital signs can, however, be boiled down to just a simple sentence, true on all levels, software, hardware, firmware and enclosures: Find a competent partner that will augment your skillset. Only then will e-paper technology truly deliver on its promise.